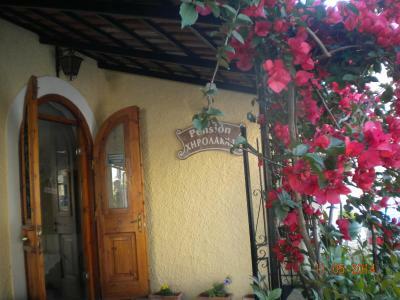 Lock in a great price for Pension Hirolakas – rated 9.4 by recent guests! Staff very friendly. Excellent room. Excellent breakfast! Great spot with a view of the harbor. We booked three rooms, one with a huge terrace and kitchenette. 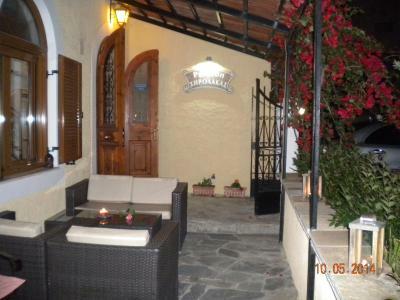 Close walk to restaurants and taverns. What a delightful small hotel! The rooms are fantastic! 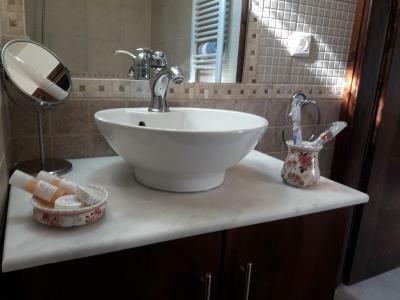 Large, beautifully and lovingly decorated with gleaming tile and jacuzzis in each room. Pristine. Our balcony overlooked a plaza and the gorgeous residential “second port’. Breakfast was huge and home made. Our host was lovely. Wished we were staying more than one night. 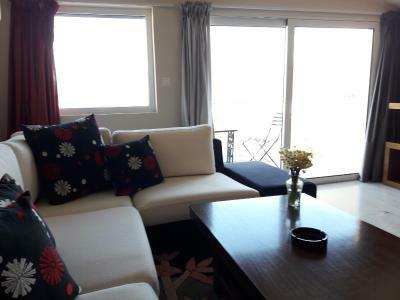 The room had two balconies, one of which looked over the harbour and the bed was comfortable. The breakfast was excellent. Hosts were very friendly and couldn't do enough to make us feel at home. Great breakfasts. Interesting Harbour view. 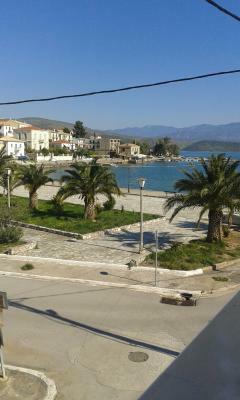 Galaxidi is a very pretty village. 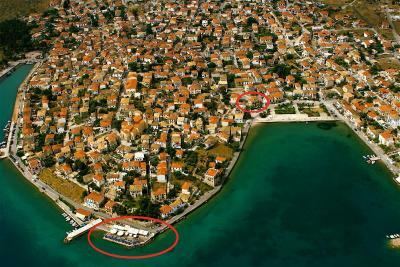 This guesthouse is in the more peaceful "second port" of Hirolakas. 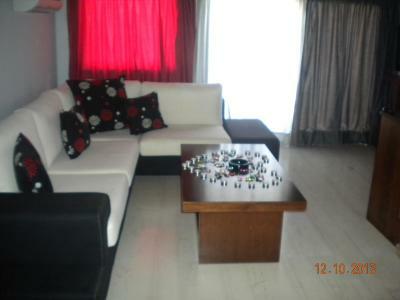 Exceptional location with a wonderful view of the water. It is only a few meters away. The breakfast was very good and our host was very informative. We recommended the place to one of our friends coming to Greece later this year. The included breakfast was very good. Fresh squeezed orange juice, hot eggs and bacon, and excellent local yogurt were some of the highlights. Our room on the top floor had a nice balcony for settling and watching the water. Parking was free and right outside the front door of the hotel. Service was very accommodating and pleasant, including very good local dining options. Good jumping off point for our visit to Delphi. We would definitely stay here again. If you are like me you seek a place with style, to experience abundance that's yet affordable. 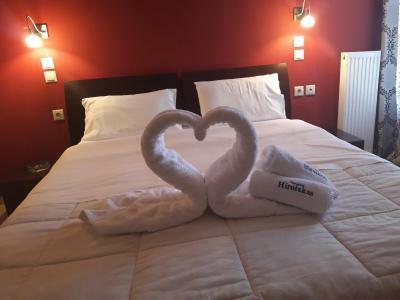 We got all that included plus a room with a view where you can see superb houses of the old village and the old fishermen port where you can watch superb boats and yachts quite at distance along with the mountains and the ancient city of Delfi. The breakfast was the best I ever had in my life. So tasty and organic. The owners were very supportive and nice. I hope I can return soon... I am already longing for this place. The hotel staff was courteous, friendly, helpful & professional. 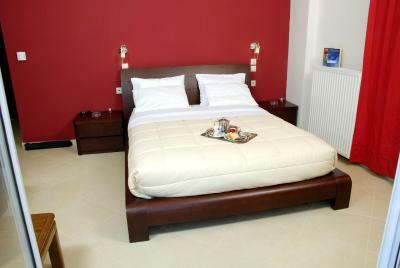 The location was convenient, the rooms were very clean and well maintained. Our stay was pleasant & enjoyable. 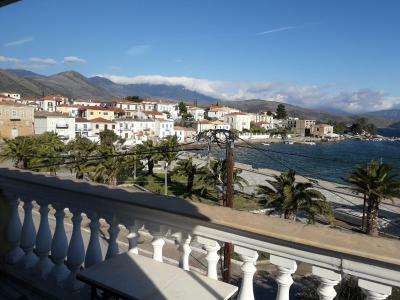 One of our top picks in Galaxidi.Located by the port of Hirolakas, this traditional building in Galaxidi offers modern accommodations with view to the sea and Mount Parnassos. The sea is just 50 feet from the hotel. 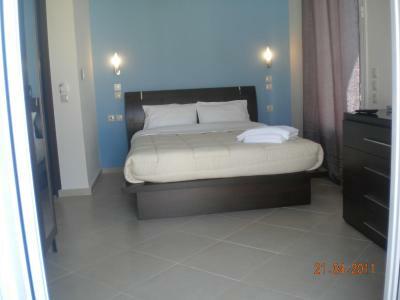 Pension Hirolakas’s modern rooms are decorated with earthy colors and each has private bathroom. 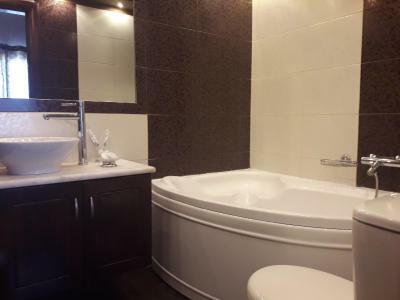 Many rooms offer a spa bath, and some include a fully equipped kitchen. 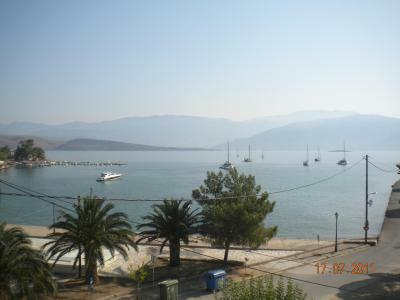 An organized beach with a seafront bar is within 150 feet from the property. Galaxidi is graced with narrow cobblestone streets and two small harbors, and makes a pleasant base from which to visit Delphi. 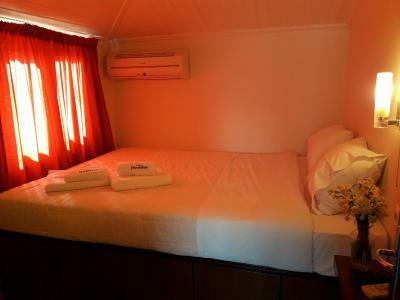 When would you like to stay at Pension Hirolakas? 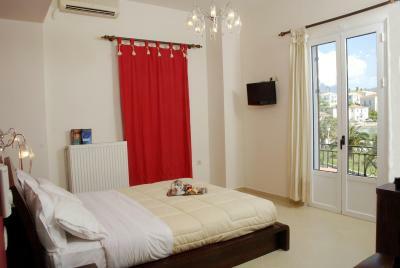 Features balcony with sea view and private bathroom with hydromassage bathtub. 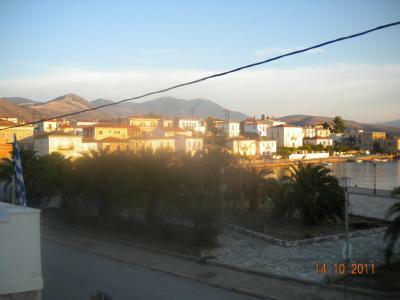 Spacious studio with a fully equipped kitchen, and access to the yard leading to the main square and the sea. 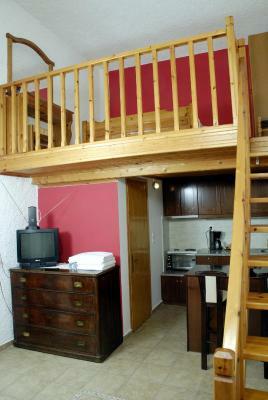 This double room has a balcony, seating area and hot tub. This studio features a balcony, soundproofing and hot tub. House Rules Pension Hirolakas takes special requests – add in the next step! Pension Hirolakas accepts these cards and reserves the right to temporarily hold an amount prior to arrival. Please note that an airport shuttle service is provided on surcharge, upon request. Extra charges will be prepaid and are not refundable. 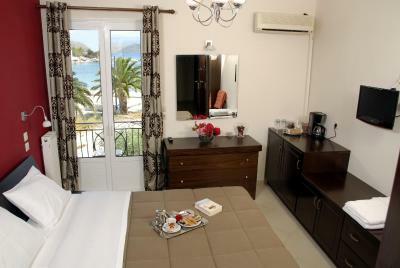 Off street parking, a warm welcome, a nice room, good bed, great bath, good view, great breakfast! Good advice on where to eat too! What’s not to like? 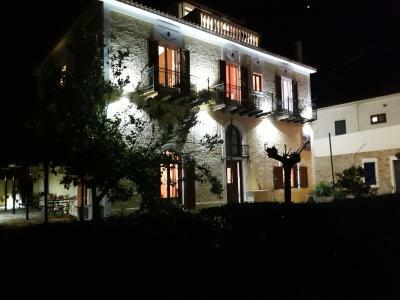 Don’t stay in crowded, overpriced Delphi, stay here down the hill! Fantastic location and breakfast. The little village is wonderful and our stay at Hirolakas was just perfect. 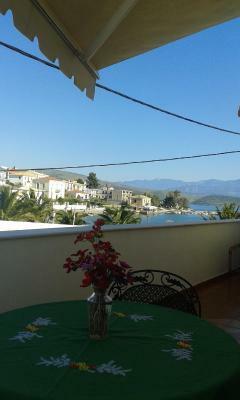 Relaxing jacuzzi, lovely balconies with sea view and the best homemade jam I have ever had. 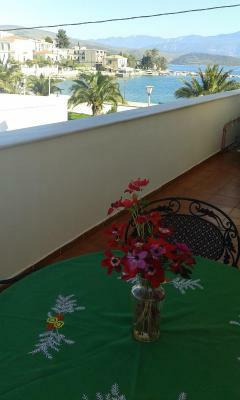 Lovely room with a large balcony overlooking the sea. Really good hosts that provided a great breakfast. they were friendly and polite and their service was perfect. Parking was a bit tight - but we could have safely parked in the street. Friendly owner, kindness in welcoming and departing. Great help in finding the most beautiful dinner, literally just around the corner. Beef liver & onions and stuffer onions with ground meat. Staff very friendly, location, rooms nice and clean. Staff was very helpful and accommodating. Lovely view from our balcony and nice home made jams. No drinks in the hotel. Even having a coffee out of breakfast time was not easy. But plenty of bars around. Otherwise nothing to say against the place. We ll be back.